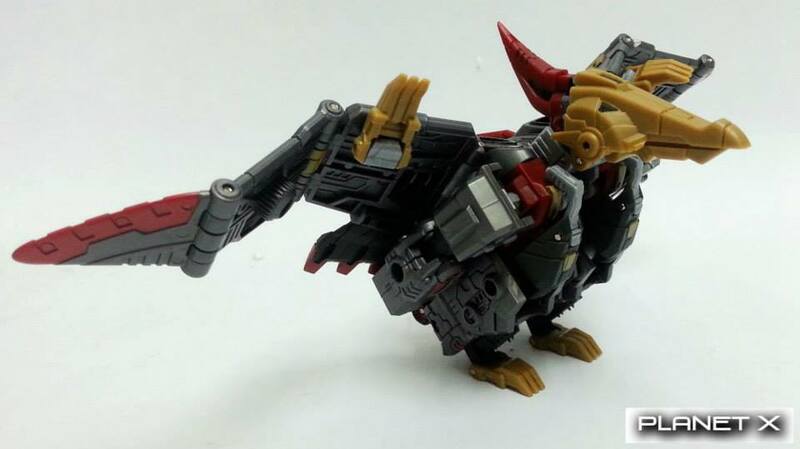 Planet X has updated their Facebook page with new colored pictures of their upcoming unofficial Fall of Cybertron Swoop figure, PX-02 Caelus. This unofficial Swoop figure is looking sharp and homages the video game figure extremely well. 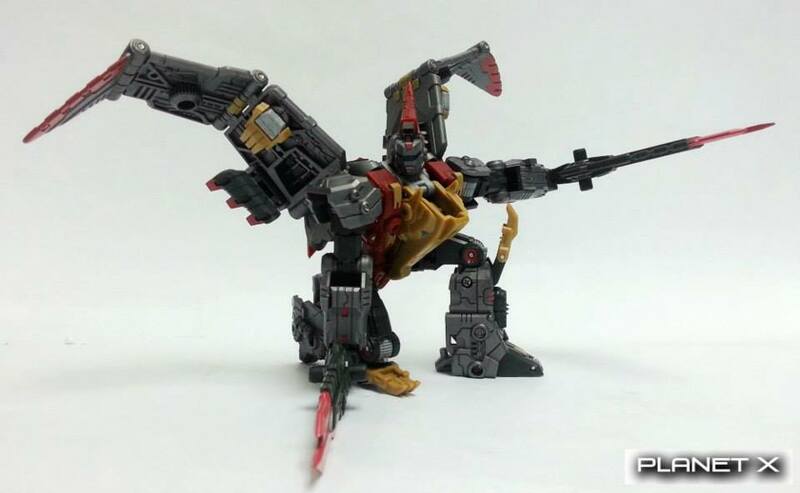 The pictures show off the figure in both modes as well as comparison shots with Generations Voyager Grimlock. It’s scheduled release date is early next year. Check out the images by clicking the title bar. I really wish they would go back and fix some things up with the mold. A locking head, ankle tilts, and wrists would do wonders. Swoop is a little bit of a weak link in the set and this would be a good enough opportunity to do so. 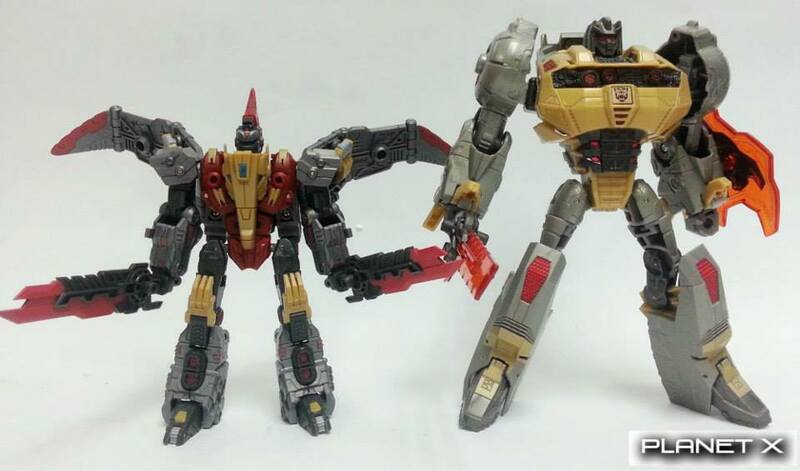 Unfortunately a shiny repaint only goes with their grimlock and doesn't really fit in with the rest of their releases, but it seems like they might be reissuing their entire dinobot line so who knows. Saw metallic Caelus during TFCon. Let's just say it made me regret having the regular version. Metallic Caelus looks pretty damned sharp! Anyone have a pic of Caelus with Siege Hound and/or Sideswipe? I wanted to see how well FOC Swoop looks with Siege figs. 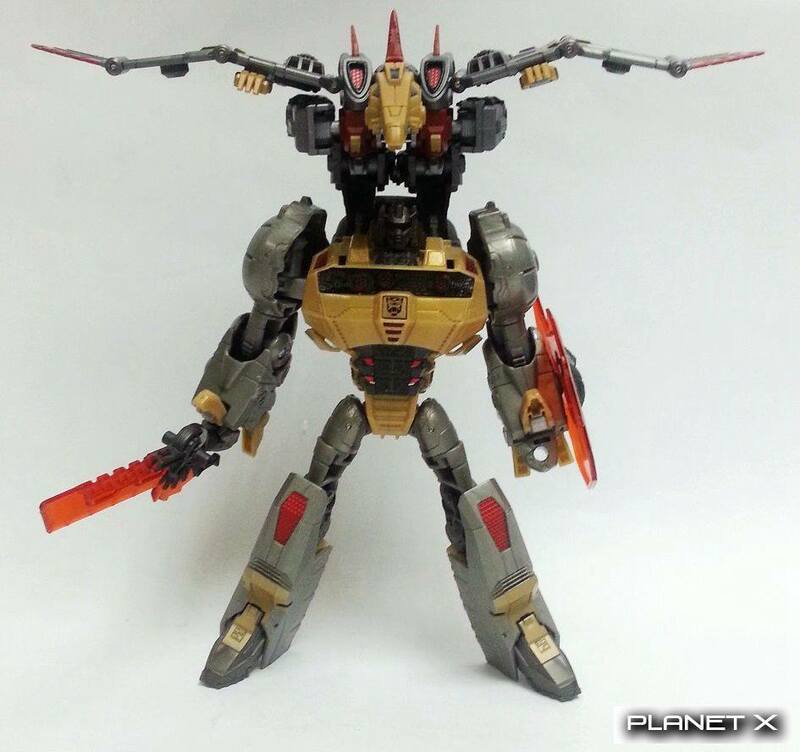 …oh yes, this is all that's been holding me back from going all-in on the PX dinobots!.. Regular Caelus pre-order up at BBTS. So PX finally broke their silence streak for a moment to address two of my inquiries. They confirmed that Metallic Caelus will indeed come with transparent swords. The other Q relates to the remaining Dinobots getting the Metallic treatment to which they responded along the lines of all depends on the sales of Metallic Caelus. Ugh. More money Planet X wants me to toss their way. CAN WE SORT OF PUMP THE BREAKS THIRD PARTY GUYS AND HASBRO, TAKARA, AND BANDAI?! My wallet is not ready. Great news for us new guys who never got a chance to get the full team back in the day. Well. 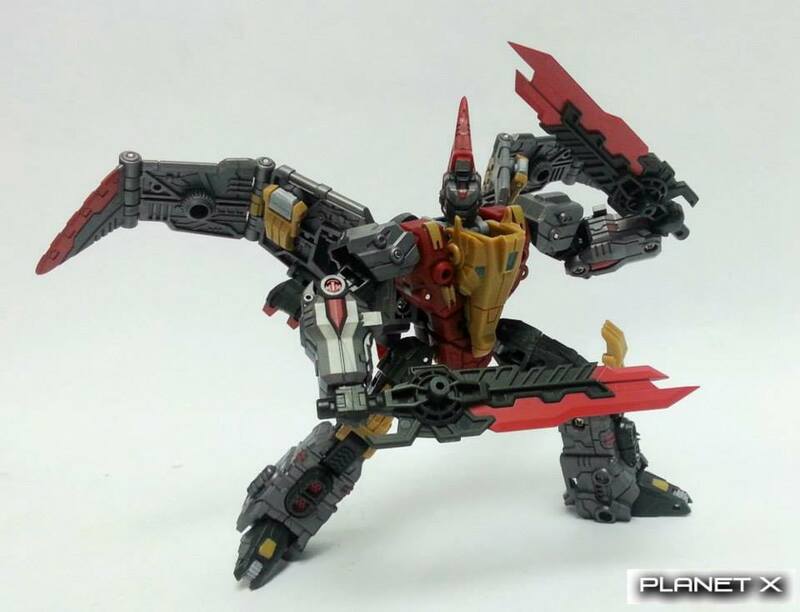 PX just confirmed Metallic Caelus on their FB site Planet X. Anyone seeking the non-metallic version of Caleus, I will be packing mine up and selling it to make room for the metallic one. It's 100% in condition and complete, along with original box and instructions. Will put up pics of it later this week. Asking $45USD + S&H. Was the link referring to the whole fig or just metallic darts? Anyone that is fluent in Chinese (i.e. NOT google translate) able to properly interpret please? The link is referring to full PX02B metallic Swoop figure. But not from the horse's mouth tho. Let me see if I can find mine. sorry to necro an old thread, but i was wondering if anyone might be willing to sell/trade/give away their collector card for caelus? Hello there, I have question. 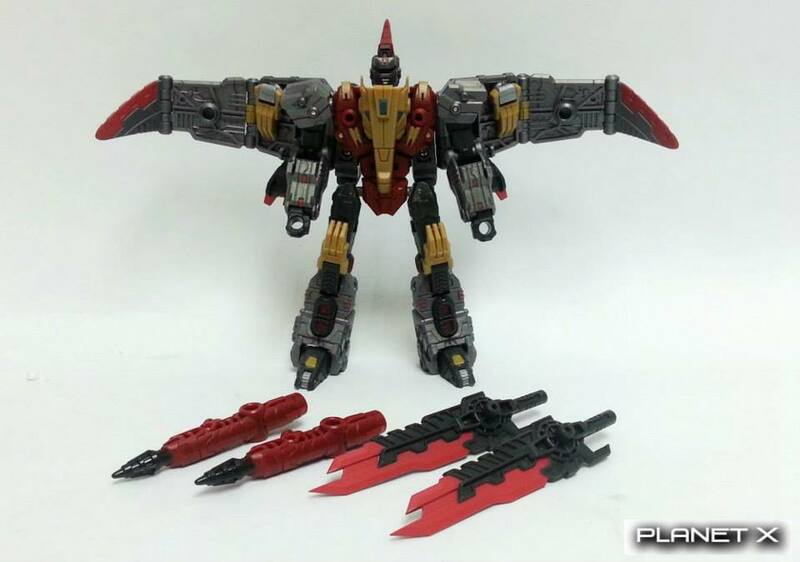 Robot Kingdom get re-release Caelus again, it's would have come with new transparent blades? Or original blades with red paint?